The argument over safety aspects of knob and tube wiring as shown in Figure 1, will continue for many years. Is knob and tube wiring safe? As with many things, if the knob and tube wiring in your home was properly installed and has been properly maintained there should be no concerns with respect to fire. 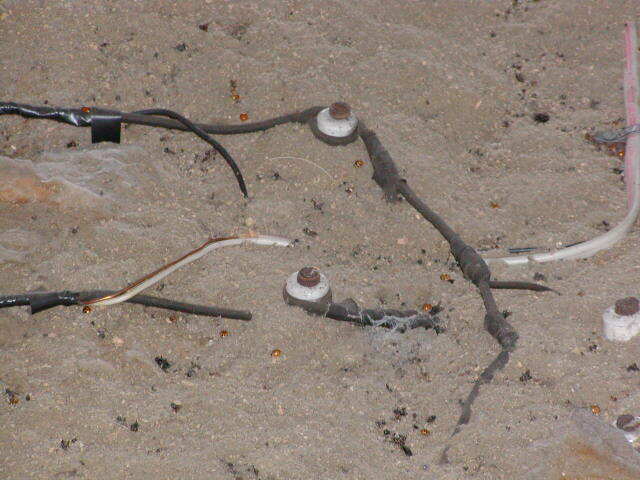 However, even the finest knob and tube wiring installation has one major drawback - there is no ground wire. 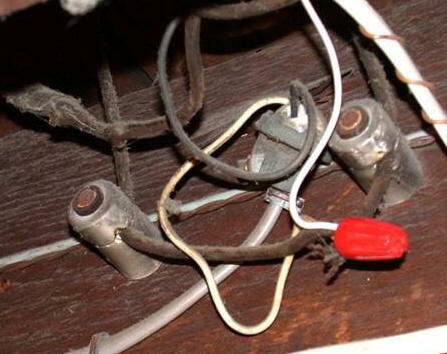 Knob and tube wiring has not been used in homes since the 1950's and the question that must be asked, is how has it been maintained and upgraded, as most homes in the 1950's had 30 or 60 amp services, which are hardly adequate for today's home electrical needs. The problems with knob and tube wiring are associated with the age of the electrical system, its maintenance and how upgrades and changes have been accomplished. Insulating walls and attics in conjunction with knob and tube wiring can be a problem. 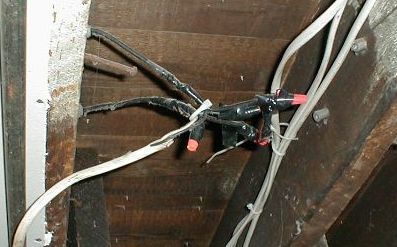 The National Electrical Code is very specific about NOT burying knob and tube wiring under insulation and although some US jurisdictions, such as California, have over-ridden this code, those that have, have specifically stated that the knob and tube wiring has to be inspected by a licensed contractor prior to the installation of the insulation. There are some recommended methods (as recommended by the Bonneville Power Administration) of installing insulation in locations where there are knob and tube wiring circuits. Figure 1 shows the recommended method of installing insulation for wiring which extends across the joist space. Cut a piece of batt insulation at least 14 1/2 inches wide and push it underneath. Taper blown or poured insulation back from this batt to assure that loose fill doesn't "drift" into contact with the wiring. 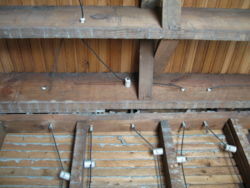 Figure 2 shows the recommended method of installing insulation for wiring installed along the sides of the joists. You will need to cut the batt to provide air space around the knob and tube wiring. Be sure to maintain clearance on all sides of the wire for free air circulation. 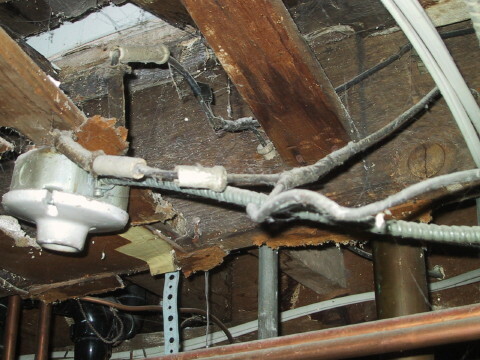 We recommend using batts between the joists on both sides of the space containing the wiring so that loose fill insulation (if used) does not spill over into the knob and tube wiring. Always check with your local utility as well as your building department for details, rules and their specific recommendations. Insurance companies, throughout North America, are beginning to take the approach that they will not insure or reinsure homes with knob and tube wiring, in a similar manner of not insuring homes with fuse panels. 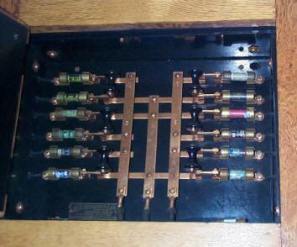 The reason is not really because of the knob and tube wiring. In many cases when upgrades to electrical systems within homes have been done to knob and tube wiring, they have been done incorrectly. Although qualified inspectors can identify potential safety problems, they can only inspect what they can see. There is a real possibility that there are serious safety issued buried in walls, ceilings and floors. Figures 4, 5, 6 and 7 show actual modifications and electrical system upgrades performed to knob and tube wiring. All of these are high risk fire hazards. Figure 4 - 14-2 Romex style electrical cable spiced into knob and tube wiring. To make matters worse, the splices were not even contained within an electrical junction box. Figure 5 - A combination of knob and tube wiring, armored cable and 14-2 Romex style cable - some inside an electrical junction box, others spliced using tape. Figure 6 - Knob and tube wiring spliced to 14-2 Romex style cable sitting on loose fill insulation. Figure 7 - Knob and tube wiring spiced to 14-2 Romex style cable - no electrical junction box. 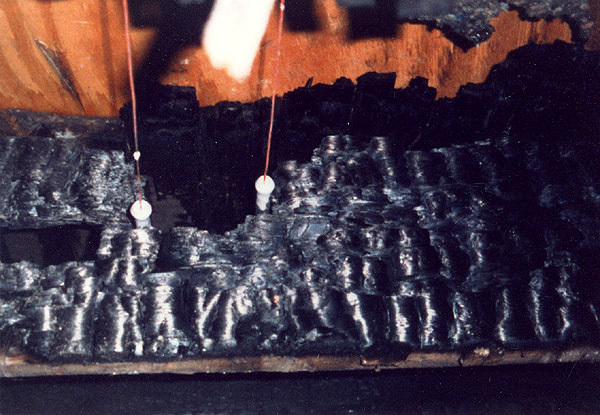 Figure 8 shows an actual fire that started because of incorrect modifications to knob and tube wiring. Figure 8 - Insulation has burnt off knob and tube wiring and joist caught fire. Figures 9 and 10 show a fire caused by overheated knob and tube wiring that had 14-2 Romex incorrectly spliced to it. The fire between the ceiling and floor was only identified when the ceiling was removed for a renovation. It is assumed that the fire did not spread because of lack of oxygen. 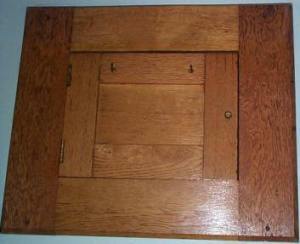 Figures 11 and 12 show an electrical load center from a knob and tube wiring installation that has been mounted behind a cupboard door. Yes, you should have your home's electrical system inspected by a qualified electrician if you have knob and tube wiring. However, that being said, many problems with knob and tube wiring are buried behind walls and in ceilings. Personally, I would undergo the expense of re-wiring the house in order to sleep soundly at night!